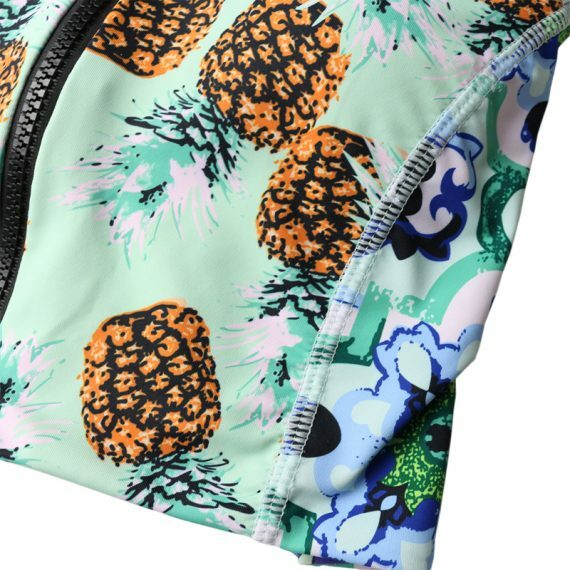 This suit features a corset-style top as well as a fun pineapple print. 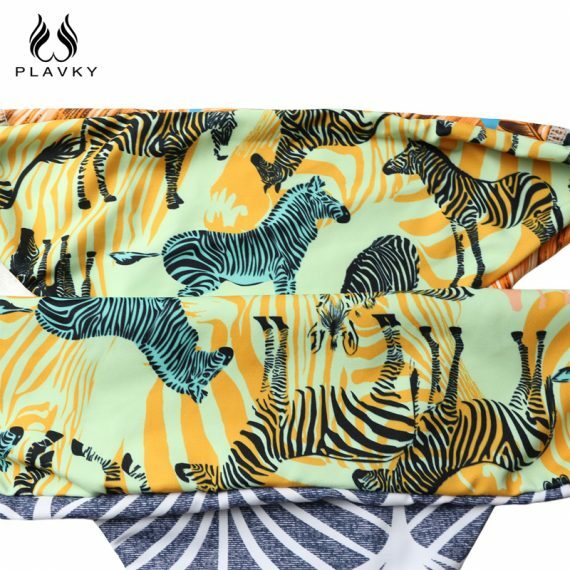 The front of the top zips up to keep everything in place, and the back has criss-cross straps and a laces up like a corset. The bottoms sit low on the waist and have full coverage in back. It is perfect for an active day on the beach.